Bevan has vast experience with a variety of public speaking engagements, including workshops, keynote speaking, race commentating, facilitation of fitness sessions for your team. Whether you need someone to help with motivation, an educator on work/life balance tools or an inspiring facilitator for your session, Bevan can customise a session to suit your needs. If you want to take yourself to the next level in any area of your life - personally, professionally, athletically or mentally, Bevan will work with you to help guide you to that next level within yourself. One on one sessions with him will help you find that pathway to that next level. My 5k Dream and the Extra Mile Runners programmes gets people running. From the absolute beginner to the experienced runner who wants to take their running to the next level, the Extra Mile Runners group training programmes and coaches are proven and trusted to help you achieve your running goals. Since 1999 world leading fitness professional Bevan James Eyles has trained thousand of people and fitness instructors around the world. His fundamental belief is that true success with health and fitness is achieved when people get on top of their behaviours. On The Bevan James Eyles Show he interviews world leading thinkers and shares insights that can help you be the healthiest version of yourself. I love this show, it's helped me grow in so many different areas of my life. Make sure you listen as you will become hooked! Bevan sees his role as a personal coach as one that helps people find the focus they need to confront and achieve the big goals and overcome challenges in their lives. Whether you want to grow as an athlete, in your career or business, develop in personal pursuits or in all of these areas, Bevan can work with you to develop and and perform at a higher level - he is a true believer in personal responsibility based on the values, habits and passion that sit inline with your core being. Motivational speaker, workshop facilitator, race commentator or something bespoke for your business, Bevan has experience in a huge range of topics and presentation styles that can help bring out the best in your audience. 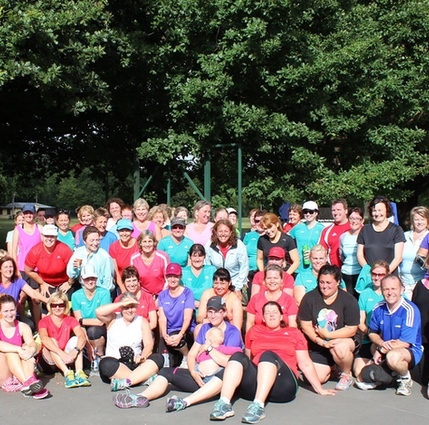 Extra Mile Runners is New Zealand’s #1 group training system for all levels of runners. From the absolute beginner wanting to learn how to run properly through to someone wanting to achieve a PB, Extra Mile Runners has programmes for all abilities..